Max Holloway talks about how his medical problems and inactivity led to a serious bout with a depression. He might be the reigning UFC featherweight champion and one of the best pound-for-pound fighters in the world, but it hasn’t all been sunshine and rainbows for Max Holloway. After suffering with concussion-like symptoms in 2018, ‘Blessed’ was ruled out of his title defense against Brian Ortega at UFC 226 and was only able to fight once during the whole year. With the inactivity came depression, and Holloway says that, while it was an incredibly difficult time for him, he matured as a person and got to ‘figure out’ many different things in his life. 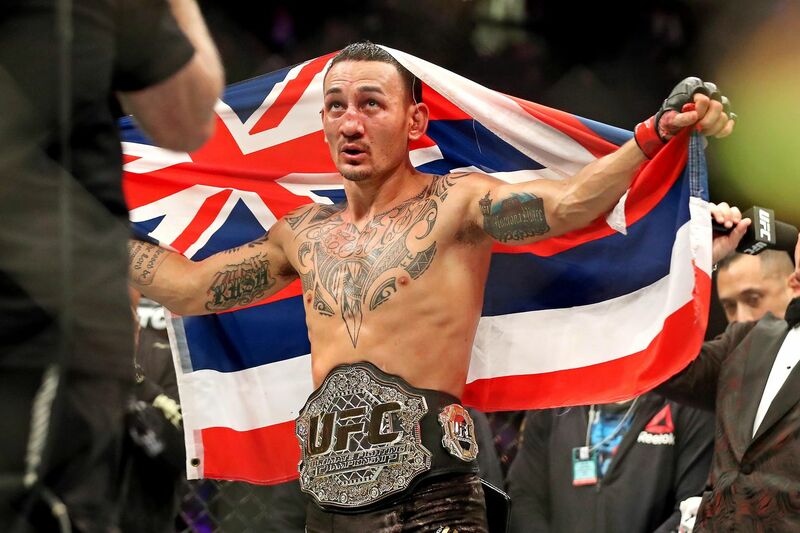 ”Man, the last fight [against Brian Ortega at UFC 231] was emotional,” Holloway told Sports Illustrated ahead of his interim lightweight title bout with Dustin Poirier at UFC 236. “The year leading up to that, I had a bunch of fights fall through, had a little depression. I was fighting somewhat of depression. It was just crazy to have the fight like that. ”The last year, part of my career, three fights that got pulled from me,” he added. “I got hurt. I got hurt. After that, doctors pulled me twice. It goes from a guy… I’m so used to fighting two to four times a year to only fighting one time a year now. I had no control or say in it. After that stuff that happened, I was thinking like, ‘Man, what if I don’t ever fight again?’ That’s what led into it. Holloway did go on to defend his title against Ortega at UFC 231, and the Hawaiian will look capture the interim lightweight title when he takes on Poirier this weekend at UFC 236. Holloway is glad to be back in full mental and physical health and the aspiring two-division champ can’t wait to lock horns with ‘The Diamond’ on Saturday. UFC 236, which also features a co-headlining interim middleweight title bout between Kelvin Gastelum and Israel Adesanya, takes place on April 13 at the State Farm Arena in Atlanta, Georgia.